Festive Shapes, Colors and Balloons decorate this inflatable Bounce House Slide Combo. 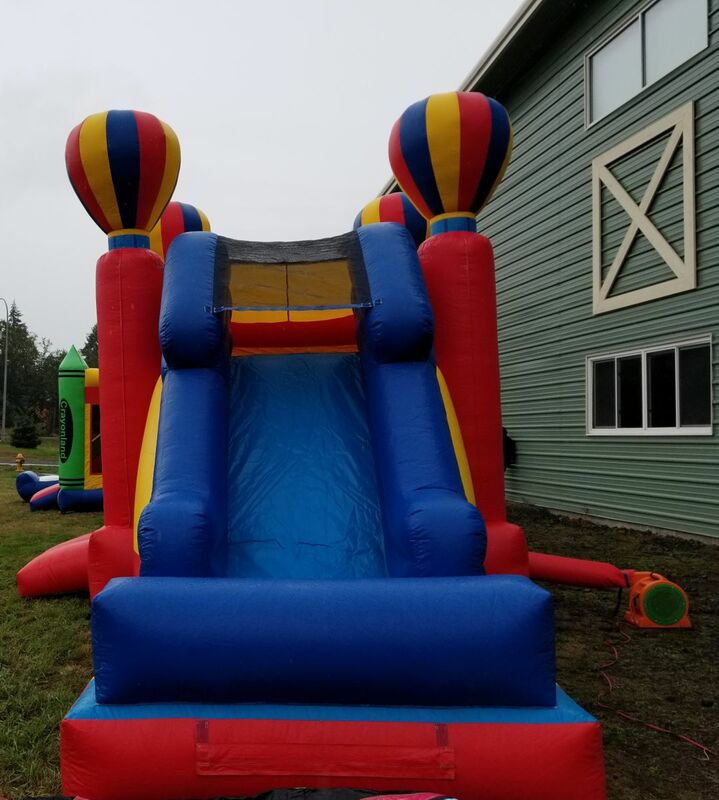 Your guests will have a great time in our Balloon Slide Combo. The excitement will never stop at your event. Bring more games and fun to your event, check out our many game options. Brand New addition to our Company!!! Soar high in the sky! 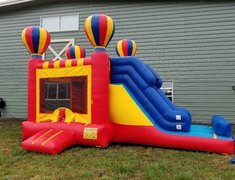 Imagine yourself flying up up and away in this colorful Balloon Bouncer!!! Large Bounce area and slide combo!! Kids will love the bright colors and balloons on this fun inflatable.